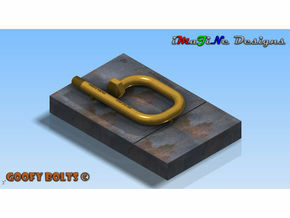 All 2016 Goofy Bolts are approximately 80mm (3.15") long x 20mm (0.8") at the head with a 10mm (0.4") shank. All Goofy Bolts are hollow where possible to save you money, and come with at least one hole plug to plug the end if you are not using a 4mm (5/32") rod to mount the bolt for display. 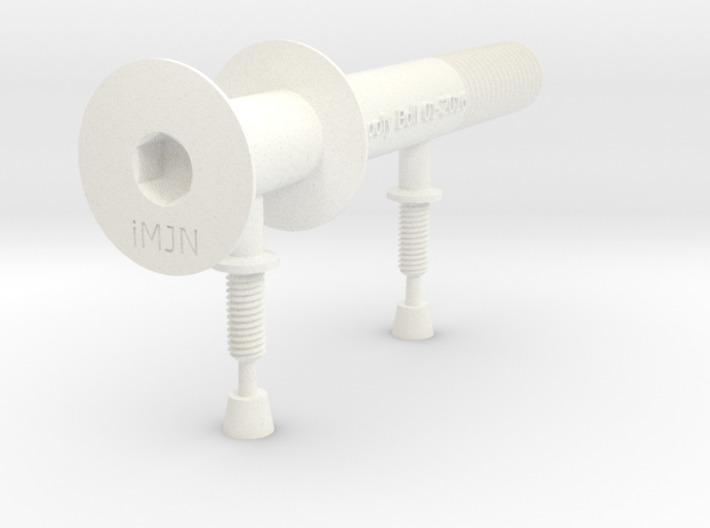 The best way to mount your Goofy Bolts is to glue them to a mounting surface at the hole locations on the PDF template that can be downloaded and printed https://www.shapeways.com/forum/index.php?t=msg&goto=135215#msg_135215 The next best method is to use 4mm x 0.7 nuts on the mounting posts; but be careful as some 3D printing processes don't replicate the threads as cleanly as they were modeled.